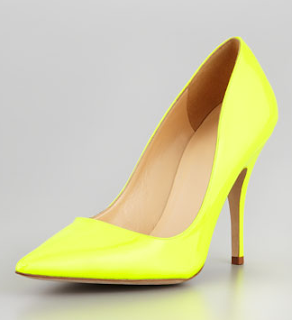 I had to search far and wide to find this Boutique 9 pump still in stock somewhere! I eventually found them on Amazon for $105, not bad!! Should I get a pair or that neon lime skirt I posted yesterday, hmmmm.